Qatar Airways’ first non-stop flight from Doha to Gothenburg, Sweden landed earlier at Gothenburg Landvetter Airport, marking the airline’s second gateway into Sweden. airBaltic has launched two new direct services from Tallinn - to Stockholm and Oslo. Since the expansion in Estonia, airBaltic now bases two aircraft at Tallinn Airport. Qatar Airways will launch a direct five-times weekly flights to Gothenburg, Sweden, on December 12th, making it the airline’s second Swedish gateway after Stockholm. The Radisson Blu Strand Hotel, Stockholm, originally launched in 1912 for the Olympics, is undergoing a significant refurbishment, transforming it into Stockholm’s leading lifestyle hotel. Scandinavian stylish design meets rich history at the iconic hotel, famously frequented by Swedish actors Greta Garbo and Ingrid Bergman, who favoured the Sea Salon Suite with views of the Royal Dramatic Theatre. This summer, a brand new initiative has launched in West Sweden, giving visitors the opportunity to explore the Swedish lifestyle from a local perspective. Meet the Locals enables curious travellers to engage and spend time with locals in Gothenburg and West Sweden who are eager to offer a taste of the Swedish way of life, whether hiking through stunning landscapes, cooking delicious traditional foods or simply enjoying ‘fika’ together. 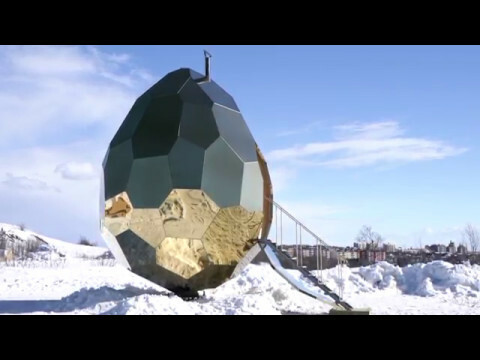 A new sauna experience awaits guests in northern Sweden in a giant (and moveable) pop-up Solar Egg. The Latvian airline airBaltic has re-launched a direct route linking Riga with the second largest city in Sweden – Gothenburg. The route offers convenient travel options for travellers from Sweden and Baltic States, as well as complements already exiting route from Riga to Stockholm, Arlanda airport. Scandic Hotels has signed a long-term lease agreement with the property company Vasakronan. The agreement covers the operation of a new hotel in the Platinan block, part of the new urban development project Älvstaden in Gothenburg. easyJet has announced a new route from London Gatwick to Åre Östersund Airport, Sweden, which will commence on December 11th and is expected to be popular with skiers and snowboarders. The new route will be easyJet’s first service from the UK to Sweden. When it launches it will be the 32nd country in easyJet’s network and the 107th destination available from London Gatwick airport. Arriving at Görvälns Slott manor house there is no question that one is arriving in a designer-boutique hotel near Stockholm city. Maria and Johan Eklund, the owners of the hotel, have themselves picked out every detail so that guests can enjoy the relaxing environment, the beautiful rooms and the splendid cuisine and beverages. The consolidating of the existing cultural cooperation between Umeå in Sweden and the Seychelles Ministry of Tourism & Culture remains a priority for Alain St.Ange, the new Minister for Tourism and Culture, and for Ms. Benjamine Rose, his Principle Secretary.